2011 Readers&#039; Choice Award Hall of Fame Winners from our Style-Roseville Granite Bay Rocklin Magazine! THANK YOU for voting Rocklin Pediatric Dentistry your favorite pediatric dentist for three years in a row. Dr. Lora Foster Rode is a Sacramento native and a new mom to baby girl, Elyse. She is a Board Certified Pediatric Dentist who, along with her amazing team, is committed to providing personalized dental care in a friendly atmosphere. The office is inviting and her patients’ artwork is proudly displayed on the brightly colored walls. Dr. Lora and her team use a loving and caring approach, expertise training, and state of the art techniques to offer your child the best dental experience possible. They have created a comfortable and welcoming environment for young people. Patients have fun and can’t wait to come again for their next appointment. Find out why...Visit our website at www.RocklinPediatricDentistry.com or call to schedule your new patient appointment. Roseville Health and Wellness Center would like to thank the readers of Style magazine for voting us #1 for the last 7 consecutive years! 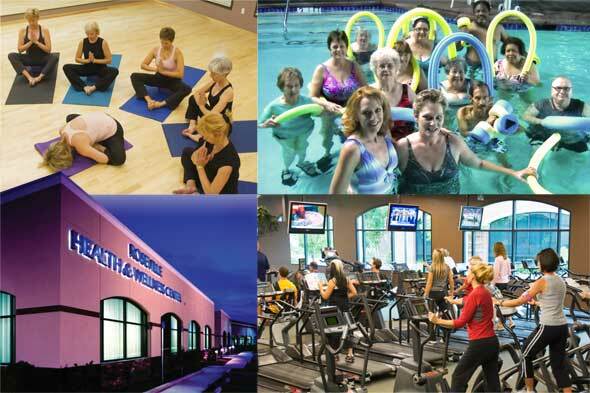 Also Designated #1 Wellness Center in the United States we are committed to helping you achieve your Wellness goals! It is the GREATEST honor to once again be voted the #1 Dental Office in Roseville, Rocklin, & Granite Bay. I owe so much to the amazing Team which makes up Dental Designs of Roseville. All of us at Dental Designs of Roseville, would like to take this opportunity to express our sincere gratitude for all of the unconditional love and support we have received from so many of you this past year. Difficult times are always an opportunity for relationships to grow and actually show truth. Our truth is that we could not have gotten through this last year without you. We consider every one of you a true blessing and are forever grateful to have you as part of our family. Thank you! The doctors and staff at Blue Oak Dental ~ Roseville would like to thank the readers of Style Magazine for voting one of our own, Jeffrey McClure, D.D.S. 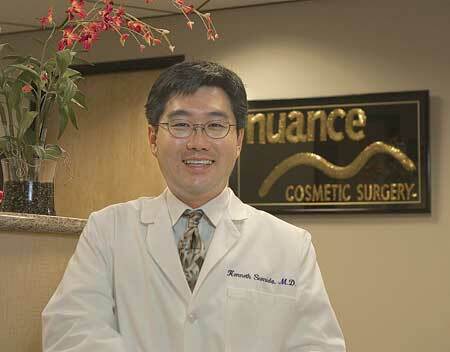 as one of the favorite dentists in Roseville, Granite Bay & Rocklin. “Care for a lifetime” is the cornerstone upon which Blue Oak Dental ~ Roseville was founded over 20 years ago in Roseville. Our friendly staff and dentists provide quality dental care with an emphasis on esthetic, tooth conservative dentistry. We have extended appointment hours – 7 a.m. to 7 p.m. each weekday, and 7 a.m. to 1 p.m. on Saturdays. Blue Oak Dental ~ Roseville offers general dentistry, implant dentistry, orthodontics, periodontics and cosmetic dental services. At Blue Oak Dental ~ Roseville, we strive for more than just a beautiful smile. Healthy teeth and gums are essential to good health and that’s why our office features an in-house periodontist, Gregory Steiner, D.D.S., M.S., and an in-house orthodontist, Dwight Miller, D.D.S., M.S. “We are committed to helping our patients look and feel their best through optimal dental health,” say the doctors of Blue Oak Dental ~ Roseville. The group offers flexible financing and is currently accepting new patients. Please ask about our $50 new patient certificate. Thank you to the readers of Style Magazine for voting Dr. Dwight Miller the number one favorite orthodontist! We are honored to be acknowledged in the Roseville, Granite Bay and Rocklin communities. Dr. Miller and his team provide orthodontics for children, teens and adults. Dr. Miller is an Invisalign Teen Provider and Invisalign Premier Provider. He has been providing orthodontic care to the community for over twenty years and offers complimentary orthodontic consultations. Our team is dedicated to treating our patients with excellent orthodontic care in a fun, friendly environment. We also pride ourselves in being active in the community and building long lasting friendships with our patients and their families. 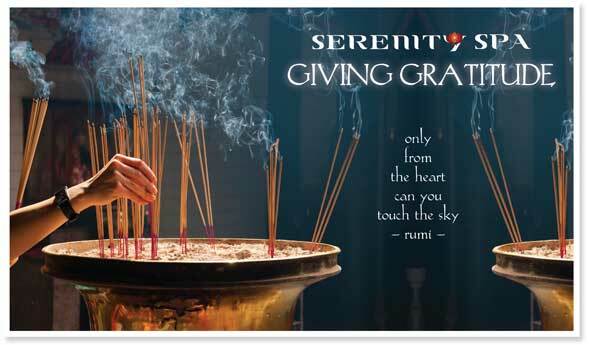 We give GRATITUDE for your loyalty...Serenity Spa is a venue that is built on a belief system that Science and Spirit come together and cocoon as one. Mother Nature and all of her earthly elements are woven into an atmosphere that provides a profound influence on our guests and employs individuals and professionals that have a passion to serve others and knowingly seek knowledge that is fitting for infinite possibilities and we graciously share with the world. We take you on a journey to the Far East with rituals to heal your mind, body, and spirit. We create a memory that the body yearns for, at a temple which our guest always returns to. Membership rituals can be customized exclusively for you and your well-being. Serenity Spa is now offering Primordial Sound Meditation Courses. We know the benefits that you receive will be a gift for life. As recipient of the Readers’ Choice Award, “Favorite Pediatric Dental Practice”, for 2011 in Roseville, Granite Bay, Folsom, and El Dorado Hills, we want you to know that we appreciate your support! We are also proud that Dr. Lexie Lyons, our Specialist in Orthodontics, won “Favorite Orthodontist” in Roseville, Granite Bay, Folsom, El Dorado Hills, and the Foothills. We’re very honored to have been chosen three years in a row. Our desire is to provide top quality, thoughtful dental care for children in our community. Dr. Lexie provides free consultations. She works in harmony with our four Board Certified Specialists in Pediatric Dentistry to monitor our patients dental health and development throughout their childhood and adolescence. Our specialists have extensive training and experience in all phases of pediatric dentistry including infant oral health and those with special needs. We are a family run pediatric/orthodontic specialty practice and have been treating Sacramento area children for over 37 years. Visit us at www.SacChildrensDentist.com. Master Amitis Pourarian, a 6th Degree Black belt, former US Team Member, and owner of The Studio Martial Arts & Fitness, is proud to have been chosen #1 Martial Arts Studio for the second year! Master P loves sharing her knowledge and changing people’s lives. The Studio’s motto is helping individuals to have “strong bodies and clear minds” and are dedicated to enriching the lives of their students. Jill Dorning was voted a favorite Personal Trainer by her clients and the readers of Style. Jill is a certified NASM (National Academy of Sports Medicine) Personal Trainer specializing in customized nutrition and exercise programs for people seeking all levels of fitness. She also teaches Cardio Kickboxing, TRX, Boot Camp, Yoga, and Butts and Guts. Donna Webb was voted #1 favorite Yoga instructor and a favorite Dance instructor. Donna is a Yoga Master Trainer with over 200 hours of training. Donna teaches Cardio Kickboxing, Yoga, Balletone, Zumba, Pole Fitness, creator of Dance4Play, Pilates education specialist, a personal trainer, lifestyle coach and nutrition consultant. Our slogan says it all. We are Brockway Hair Design a full service salon dedicated to creating, coloring, and designing beautiful hair for our clients. We are one of the leading salons in this area and work exclusively with Redken color. With over 200 individual colors in our professional back bar we are able to create the perfect custom color for you. Having been recognized by Salon Today as one of the top 200 salons in America as well as having received local recognition, we continually strive for excellence in client satisfaction and customer experience. We believe that you can never stop learning in this fast paced industry and have one of the best advanced educational programs around so that we are able to give our clients the latest looks in hair design and color; we want to be on top of the trends not behind them. Our philosophy at Brockway is simple; great hair design is not just about having the knowledge and the ability to cut, style, and color, it’s about being able to create custom hair color and design for each client taking into account their personal style. We want a client’s hair to be as unique and as beautiful as they are. We invite you to come and experience true salon excellence. The Atrium Salon Spa in Granite Bay invites you to come celebrate our eleven years as the region’s leading salon spa. The Atrium remains unique with its 5,000 sq. ft. facility with treatment rooms equipped with Vichy showers, hydrotherapy tub, pedicure and nail rooms. With the many “mini-spas” that have opened recently, the Atrium still puts the “spa” in “Salon Spa’. The Atrium offers over one hundred salon spa treatments individually tailored to your needs. Opened with an elite staff of stylists, estheticians, massage therapists, and nail technicians, its staff continues to surpass the industry’s standards. With advanced training in New York, Los Angeles and San Francisco, the Atrium continues to showcase each season’s newest trends with shows and workshops led by the world’s top designers. The Atrium works with and offers you the best quality products in the industry: Redken, Aveda, Bumble & Bumble, Kerastase, Pevonia and MedCalia. One who escapes to the Atrium can expect to be rejuvenated by body wraps, Vichy showers, hydrotherapy, custom facials, and a wide menu of stress reducing massages, manicures and pedicures, makeup and the best in professional hair care services. The Atrium also offers spray tanning, body and facial waxing, microdermabrasion, and services for your special occasions such as weddings, graduations, and celebrations. Our estheticians can customize treatments to solve skin problems from discoloration and premature aging to teenage acne. Our hairstylists can help create the best look for you. Hair color is a glamorous way to add dimension to your hairstyle. Our massage therapists are ready to offer treatments to suit your needs. In our environment, you can escape the stress of daily life. Spend an hour or a day; you’ll come out refreshed and renewed. Relax. Place yourself in the capable hands of our professionals and we will give you back a new you. Or give the gift of beauty to your loved ones with gift certificates from the Atrium Salon Spa. Thanks for voting Ginger’s your #1 Favorite Casual Restaurant and a top award winner in the Family Dining and Breakfast categories. Ginger’s has a relaxed beach ambience where fresh food and gracious hospitality offer a unique place to meet and enjoy a great meal. Ginger’s serves American cuisine and delicious cocktails, and is perfect for breakfast, lunch, dinner and private gatherings. 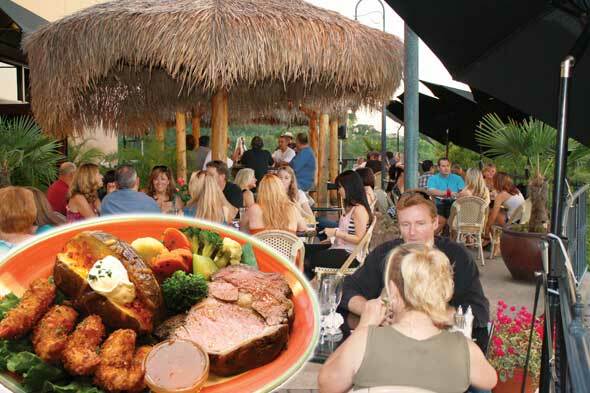 Escape, unwind and savor a delicious meal or cocktail on our tropical patio, and enjoy live music on the weekend. Dr. Mansfield, owner of the Granite Bay Veterinary Clinic and Karen Mansfield, owner, of Karona’s Pet Styling operate their businesses with high standards. They believe that communication and thoroughness is the key to maintaining good service and happy clients. 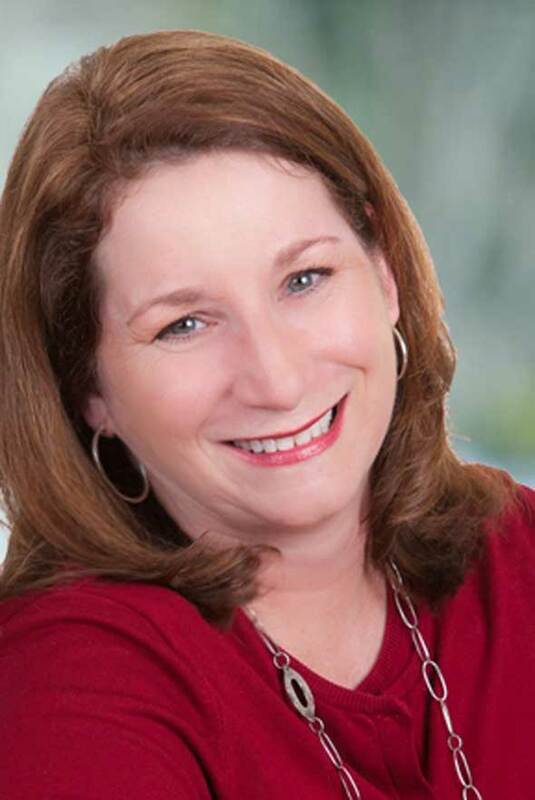 Dr. Mansfield has over 27 years of experience and Karen Mansfield has almost 35 years. Both have owned and operated their business for over 15 years. Venita Rhea’s has been serving fine food to fine families for over 13 years. THANK YOU to the readers of the Style Magazine for voting us your Favorite Breakfast Place again. Our “Commitment to You” over the years has been to be “The Best”. If you haven’t tried Venita Rhea’s find out why your friends and neighbors think so highly of us. Breakfast is served all day and includes eggs to your liking, omelettes, French Toast, waffles and pancakes from the griddle. Lunch offers a great selection of salads, soups, sandwiches, wraps and burgers. Every pot of coffee is fresh brewed from whole beans. We hope to see you soon! Thank you for voting us your Favorite Family Restaurant! Buca di Beppo® gets to the heart of fresh Italian cooking with favorite recipes like Chicken Carbonara and Baked Rigatoni. 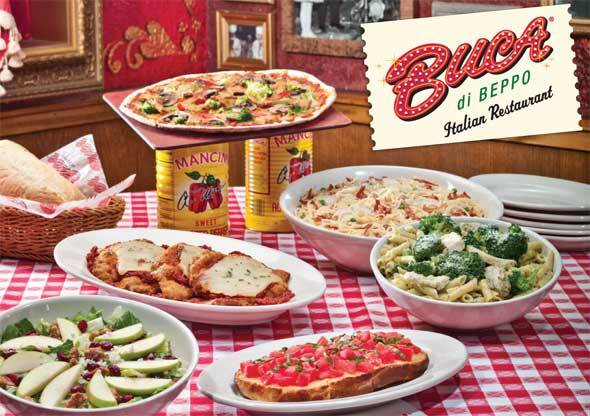 Buca serves family-style food in two portion sizes. Buca Small® feeds up to three and Buca Large® feeds an average-sized country. Well, actually it feeds up to six. 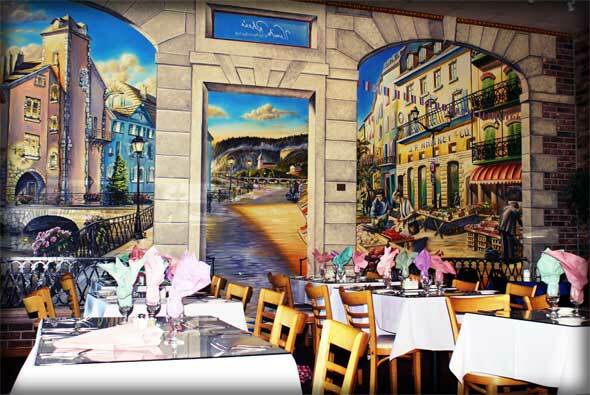 Buca is the perfect place for celebrating a special occasion, planning a business dinner or grabbing Buca To Go. Thank you to all of our clients for voting The Dailey Method into 2nd place as BEST Pilates studio! You are an amazing group of hard working clients, achieving success in strengthening, lengthening and toning the entire body...all while enjoying the added benefit of an increase in energy! If you haven’t tried TDM, it’s time to see for yourself what this workout is all about. This one-hour workout provides amazing results...FAST! We are excited so many of our customers voted for us as Best Car Wash and Auto Repair. Visit us and experience the hand wash difference. We use special mitts that are gentler on your car and let us get hard-to-reach areas. Or try a detail service. Our 7-bay service center offers express lube, smog, brakes, tune-ups, major service and more - plus a free wash with major service! We accept competitors’ coupons, so give us a try and see the difference for yourself. Smog King would like to take this opportunity to thank the readers of Style Magazines for voting for us for favorite Smog Shop. Our #1 goal is customer service and we pride ourselves on being the absolute best in our industry. We will take great care of you and your vehicle. We are quick, fairly priced and honest. We smog all vehicles and our waiting rooms are comfortable, too! You’ll leave with a smile knowing you came to the right place. La Provence would like to thank you, our guests, for your Readers’ Choice votes and your continued loyalty and we hope to see you soon. Book Your Holiday Party Now! La Provence captures the very essence of the holidays, with a roaring fire, festive decor, a joyful atmosphere and inspired menus. Contact Raquel Mostajo at 916-789-2002 or email events@laprovencerosevile.com. Merci from all of us! Morgan Creek Golf Club is proud to be recognized by the Style Magazine readers as one of the top selected golf courses. 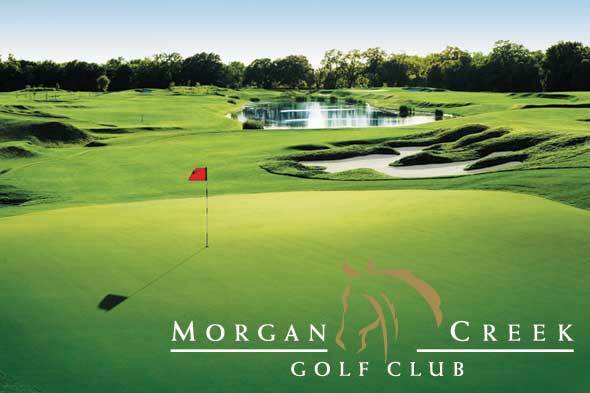 Thank you for your continued support and business as Morgan Creek is now available to ALL! Everyone is welcome to enjoy the beauty of Morgan Creek for your day of golf, golf tournaments, banquets, holiday parties and weddings. Visit us online at www.morgancreekclub.com or 916-786-4653. The doctors and staff at Loomis Basin Veterinary Clinic would like to thank the readers of Style Magazine for voting us favorite Veterinarian. For more than 35 years Loomis Basin has been providing veterinary excellence, day or night. We are proud of our high quality, comprehensive, and compassionate veterinary care, our exceptional customer service, and our neighborly atmosphere. The well-being of your pet is our number one priority. Loomis Basin is a general practice, a specialty practice with board-certified specialists and a 24-hour emergency and continuous care facility. We know that your pet depends on you and you can depend on us. At Dance Elite All Stars we are ecstatic to receive this prestigious award! We have been in business since 2004 and are proud to be the area’s premier dance studio for students of all ages and abilities in ballet, tap, jazz, hip hop, lyrical & contemporary. Check out our website & current class schedule at www.danceeliteallstars.com and “Like” us on FaceBook at www.facebook.com/danceeliteallstars. Mention this ad and receive FREE registration fees ($59) through the entire month of October. Thanks again to Style Magazine and its readers! Thank you for voting St. Albans Country Day School as the #1 FAVORITE PRIVATE SCHOOL! Founded in 1963, St. Albans Country Day School is a non-religious private school serving students pre-kindergarten through eighth grade. St. Albans offers students a challenging academic curriculum in a safe, caring environment where ethical conduct is emphasized. Students acquire skills that encourage leadership roles, innovative thinking, and positive involvement in their community. Small classes and high expectations help create an atmosphere where students acquire a broad foundation of knowledge and skills. Individual talents, teamwork, and an appreciation of diversity are fostered through a variety of enrichment programs. We offer a rich core curriculum plus Spanish, art, band, music, drama, computers, PE, after-school clubs, performing arts opportunities, and sports programs. We are W.A.S.C. accredited. Extended day care is available. Dr. Lauren Van Winkle, O.D. is so grateful and honored to be voted favorite Eye Doctor. At Viewpoint Optometry, our goal is to always provide personal and professional eye care. We strive to improve each patient’s quality of life by educating them on new vision research, using the latest technology and providing the best eye care products. We’re very lucky to serve such an incredible community. Thanks again for trusting us with your vision care. Thank you for voting me one of Placer County’s favorite Hair Stylists! I love what I do and take pride in providing superior service. I always welcome new clients! Thank you to my clients for voting for me! As a consulting CPA, I provide tax strategy and preparation, business plans and QuickBooks consulting to businesses and individuals. We’ve been in business just over a year and feel so honored to be voted one of the best consignment shops in the area. Thank you Roseville and Granite Bay! It is an honor to be considered one of the best photographers in the area. We look forward to watching your families grow through the lens of our cameras for many years to come. Opened in 2007, Mud to Suds is a one of a kind dog washing facility with custom built stations raised off the ground for your comfort. Thanks to the Style Magazine readers for voting us a winner in the “Favorite Pet Groomer” category. Joy, bliss, romance, laughter, love. Perhaps the Wow effect! A Day to Remember can be your partnering friend. A successful wedding depends on good planning!! Our Preschool - 8th grade programs are dedicated to challenging academics taught in a Christian environment. We have qualified teachers, state of the art facilities, and extended care for working families.